Since President Trump began talking about crackdowns on immigration, cities across the United States have been declaring themselves “sanctuary cities.” The city of Somerville, Massachusetts has gone one step further and set up a program to train everyday citizens in immigrant aid and advocacy. The city is partnering with the Massachusetts Immigrant and Refugee Advocacy Coalition (MIRA) to offer an intensive Introduction to Immigration Law class. Any Somerville resident is eligible for the program, provided they pay the $75 fee and agree to attend all 40 hours of class. They will then be eligible for “official Department of Justice accreditation that will allow them to help others with immigration forms and applications while serving as a volunteer or staff member of a local 501(c)(3) nonprofit.” The city asks that certified residents complete a minimum 50 hours of pro bono service during 2017. MIRA advocates for legislation and immigrant rights on Beacon Hill, but they also run citizenship clinics and an integration institute to help undocumented or newly documented immigrants live legally and prosperously in Massachusetts. They partner with AmeriCorps and other organizations to provide services to the Bay State’s one million foreign-born residents. Many cities in the U.S. have declared themselves sanctuary cities, even holding their ground against threats of lost funding. (This designation usually means that cities will not cooperate with ICE’s requests to extend detainment of suspected illegals, or divert municipal funds to immigration enforcement.) Several more have established immigration defense funds, from New York’s Immigrant Defense Project and Padilla Center to Los Angeles’ $10 million defense fund. These funds support legal nonprofits and lawyers who offer pro bono assistance to immigrants, defending them in court against criminal charges or assisting in deportation proceedings. 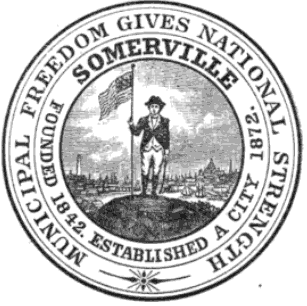 Somerville’s program is different. It leverages the recent surge in activism among everyday citizens whose day jobs and previous volunteer experience might be totally unrelated to immigration. It empowers citizens to be effective allies for a specific and important cause. It creates community cohesion, bringing together Somervillians who might not otherwise encounter one another. And it sends a powerful message to both the immigrant community and ICE: We’re all in this together. The program has already seen support and enthusiasm from residents; Meghann Ackerman, Social Media and Community Engagement Specialist for the city of Somerville, confirmed that one day after the application was released online, they had more applicants than spots in the program. The city will select applicants based on experience and language or legal skills, but Ackerman said it was possible the city would run the class again if interest persisted, as they did with the Leadership Program.